A demolition underway in Delray. The city of Detroit is paying to clean up the Delray neighborhood, the community that will host the U.S. side of a new bridge to Canada. The money comes from the $1.4 million the city received when the state purchased Delray land for the Gordie Howe International Bridge project. Residents hope it’s just the first of a number of investments in Delray as that project moves forward. 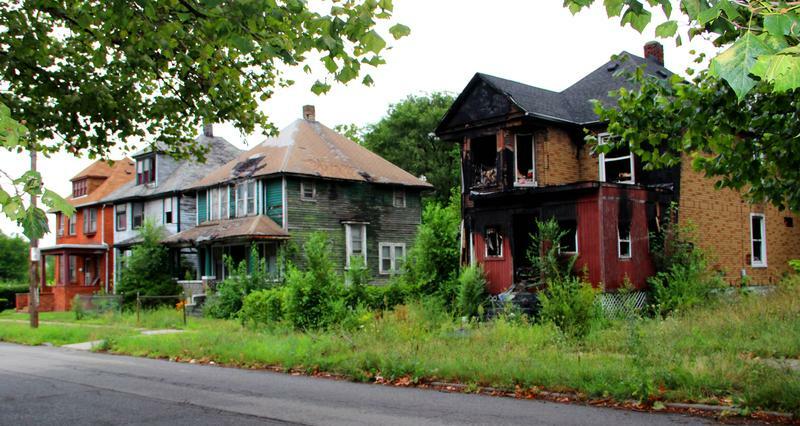 The city will demolish 33 homes and clean up a number of blighted vacant properties throughout the next several weeks as part of the $750,000 effort. Residents said some of those properties had burned multiple times, and were a genuine hazard. “This is awesome, to see these houses finally come down after so many years,” said resident Selena Carrion, a mother of seven. 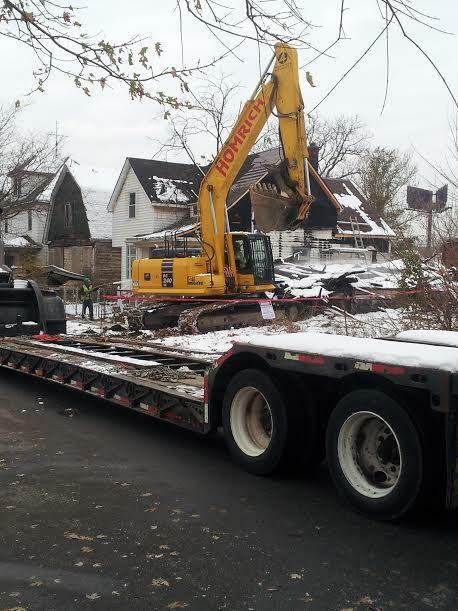 Detroit Mayor Mike Duggan said Segovac and other community leaders “set the priorities” for the clean-up, down to which specific properties should be targeted. “While the bridge is taking out a good chunk of this neighborhood, there are going to be people on both sides who are going to be here for the long run,” Duggan said. Raquel Castandea-Lopez, the Detroit City Council member whose district includes Delray, hopes the city keeps this going as bridge construction ramps up. She wants the proceeds from future land sales to go into a “community impact fund” for this long-neglected, heavily-industrial neighborhood. “It’s very sad to see a community forgotten, but very happy to see re-investment and new energy in the community, really driven by the people that live here,” Castaneda-Lopez said. The Detroit City Council is poised to vote today on a land deal that makes way for a new bridge to Canada—but their decision might not matter. The proposal would transfer 301 parcels of mostly unoccupied, city-owned land to the Michigan land bank for $1.4 million. It’s just the start of the US-based land acquisition process for the proposed new bridge between Detroit and Windsor. Canada is footing the bill for the project. You can listen to the Environment Report segment here or read Suzanne Jacob's story below. When we visited one recent summer evening, a bunch of kids were climbing on a playground. Two of them were playing tag, laughing and running themselves breathless.